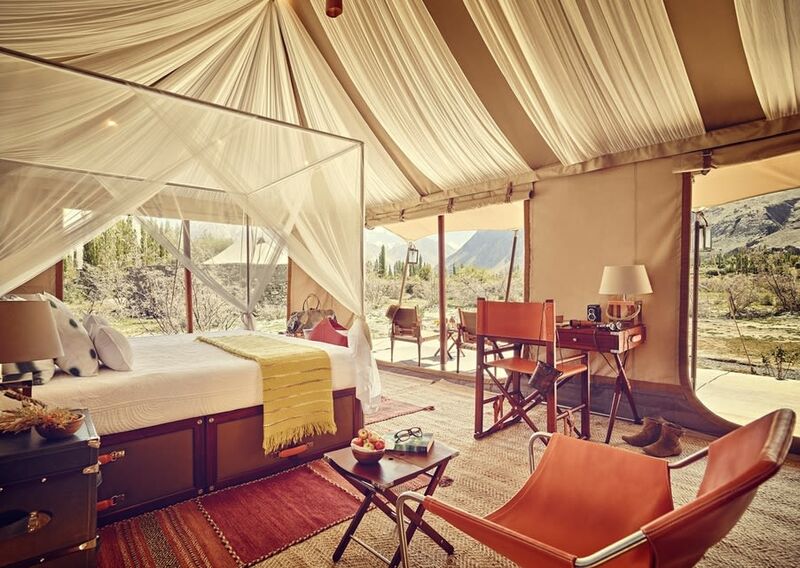 Inspired by the royal caravans tailor-made for 16th-century Mughal emperors who loved to go on expeditions without sacrificing their lavish lifestyle, luxury camps offer the chance to travel through some of the most remote and captivating corners of India in style. 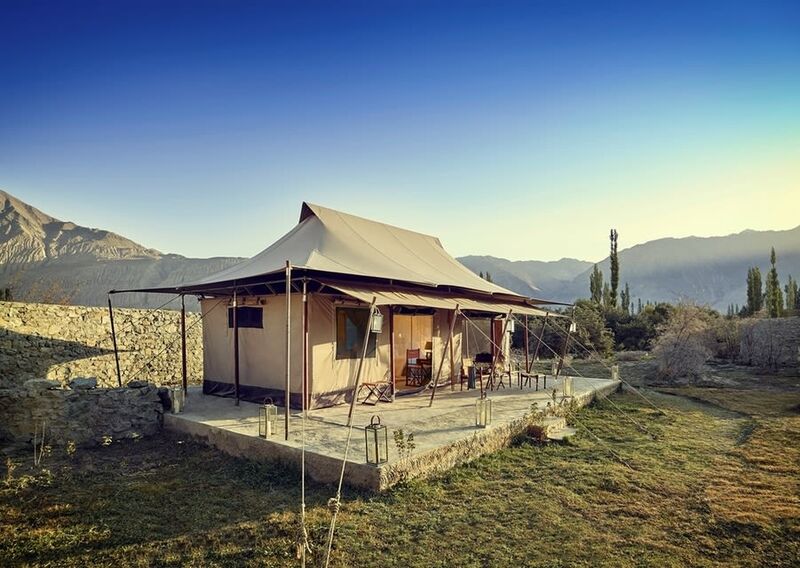 The Ultimate Travelling Camp offers unique, fascinating experiences in some of the far-flung corners of India, and takes guests to remarkable places that have as yet remained off-the-tourist-trail. In addition to the Chamba Camp, Thiksey, the Ultimate Travelling Camp offers explorers the opportunity to travel to Nagaland in the remote north-eastern corner of India to watch the colourful Hornbill festival. Venture forth from the luxury tented accommodation to explore a range of different activities. Explore the wonders of Leh, observing unique time-honoured rituals in the home of the last undisturbed Tantric Buddhist population on earth. Watch sports such as polo, brought to Ladakh in the 17th century by the Royal family, or go on guided bird-watching walks along the Indus River with the camp’s resident naturalist. Alternatively, visit ancient monasteries with interiors adorned with beautiful statues and murals, and breathtaking mountain vistas. A visit to Ladakh, in the heart of the Himalaya and Kunlun mountains offers the chance to revel in unspoilt scenery, taking you back in time to a land with a fascinating culture that remains virtually unchanged by the passage of history. Experience some of Ladakh’s colourful festivals. Traditionally, the most vibrant festivals were held in the winter months. 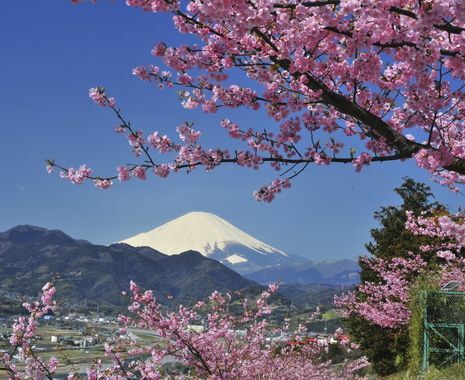 But some celebrations have now been moved to the summer to make them more accessible to tourists, and to boost the local Buddhist monasteries’ conservation efforts. Travellers should book early to visit Leh during the summer festive season.